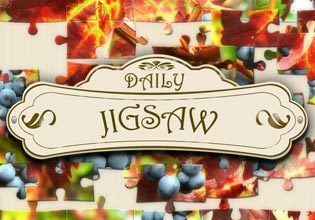 Whether you're a jigsaw fiend or just enjoy a casual puzzle with your cup of coffee every morning, you're sure to love iWin's original Daily Jigsaw. With 5 levels of difficulty and puzzles with up to 210 pieces, there's always a new challenge waiting to be conquered. Use features like the Tray to store pieces until you need them, or use the picture-in-picture view to help you figure out where those tricky pieces go! NEW: Customize the cut of your puzzle pieces! Current styles include Classic, Wave, Aztec, Paisley and Curl.